As the consumer world has become more deeply interconnected—just look at car and appliance technology—so has the workplace. Thanks to digitalization, there’s more data available than ever; now the challenge is harnessing it. There’s no question that BIM has transformed the building process, with clear improvements to project schedules, reduced RFIs and change orders, and greater cost predictability. Now designs aren’t just captured digitally; all underlying project data is also captured, giving designers, contractors and owners incredible insight into the attributes of a project for analysis, visualization, construction planning, execution and even operations. Yet, industry challenges remain. There is great opportunity to increase productivity for construction. According to the McKinsey Institute, the construction industry could add $1.6 trillion in value, or 2 percent of the world’s economy, if it were to catch up to the productivity levels of other digitized industries. Notably, one-third of this opportunity is in the United States. However, the AEC industry won’t reap these rewards through digitalization of project models alone. As part of a connected BIM process, the industry must adopt new project delivery models and supporting workflows that enable a higher degree of interdisciplinary collaboration. Workflows must actually flow across disciplines and stakeholders, geographical areas, and across the entire life cycle of the project, from the first digital napkin sketch through operations. AEC project teams are finding new avenues for cooperation through workflow integration. As firms redefine the scope of collaboration, they are embracing powerful technology and innovative processes that are poised to become the new face and shape of the industry. 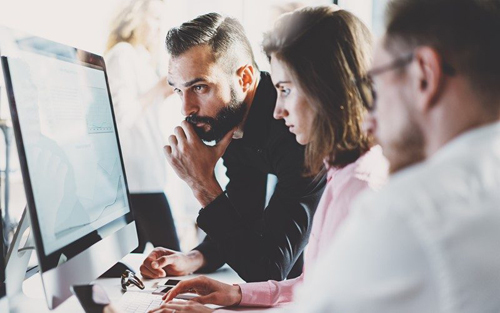 With partnership as a priority, industry leaders are realizing the far-reaching benefits of connecting workflows, streamlining processes and centralizing data. While the division of project roles and responsibilities has promoted valuable specialization and the growth of expertise, it also has made it more challenging for project teams to stay aligned, absorb change and manage complexity. Moving forward, teams that agree to centralize on technology platforms that meet the whole needs of a project will more readily find innovative solutions to implementation and delivery challenges. Decisions can be made more quickly and problems can be solved more creatively as teams adopt tools designed to support interdisciplinary workflows. A high degree of collaboration in the planning and early design stages saves both time and money in the field. There’s no better enabler for this type of collaboration than the cloud. The cloud is rapidly connecting the AEC industry at a scale not witnessed before, as it transforms the nature of digitization by democratizing access to virtually limitless data storage and computational power. With a cloud platform in place for project delivery, design and construction teams can align around data and processes, and access the same transformative technologies on a level playing field. They can share intents, ongoing efforts and implications of their work to make a truly integrated workflow. Location, time zone and devices are no longer constraints. If required, much of the work on a project can continue around the clock, maximizing productivity. When a cloud project delivery platform is well designed and straightforward, it’s easy for the whole project team to embrace it. This united approach is long overdue. Many AEC firms are looking for ways to improve access to project data, incentivize efficiency and better manage the project life cycle. The reasons for this are clear: They want to better understand and meet the needs of their clients, deliver higher quality and more innovative work, and do it faster and better with each project they take on. While a single cloud platform can centralize data and make it more accessible, the capabilities are not necessarily agnostic to the specific needs of the project players. Applications and tools on a common data platform can still be designed for a unique end purpose—whether design collaboration, model rendering, detailing for fabricators or jobsite checklists. The project is now at the heart of every team’s workflows, not as a particular task or app or a relationship between model components, but rather all of it together (the whole greater than the sum of its parts). On a centralized project delivery platform, teams will know how to find the project information they are looking for, modify it, credit it and use it further downstream. The platform also should respect ownership and the need for tracking and accountability, with robust controls and clear audit trails. BIM models can be collaboratively authored by team members any time, from anywhere in the world, in designated workspaces to prevent rework and miscommunication. All teams can view the approved, most current state of the project model, including owners and building firms if so desired. RFIs and submittals can be resolved right there in the same platform where the cloud-shared model lives. The notion of sharing data across the project team is not new. What is new is how cloud and AEC technology are rapidly evolving to better meet the needs and processes of the entire project team. That means holistically supporting the design and construction processes through connected workflows. With cloud-connected BIM enabled by a common data platform, AEC firms can look forward to truly integrated, collaborative and profitable project delivery. Stark, Joy. 2018. Reprinted from Construction Executive . A publication of Associated Builders and Contractors. Used with permission.